Be sure to add this email address to your whitelist or email friends list so you don't miss any issues! OK, I’ll just say it. I love Strategy! When I’m able to see the big picture, I gain clarity and feel poised to take the steps I need to take to get there from here. In short, when I know where I’m going (goals) and have a road map for how to make it happen (strategy), life is good. To many, Strategy is a yawner, distracting, and takes too much time. It’s what you do to rationalize funding to investors, direction to the board, or to convince yourself and employees that there’s a method to your madness. And, the idea of getting a team of people to align about strategy is enough to make some of you run for the hills. 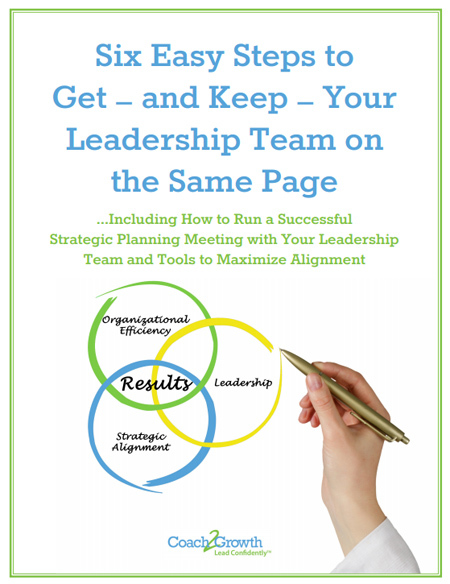 No matter your inclination, I invite you to read on for a tip or two to help you improve upon your current strategy and, more importantly perhaps, how to get your team to stack hands on it. Now, back to living in the clouds. Coach2Growth helps Executives and Corporate Leaders, Business Leaders, and Leaders in Transition grow by capitalizing on their strengths to lead and partner. With our guidance, business people achieve more, gain recognition, and grow and prosper fearlessly. Even if you buy the need for strategy, it’s hugely time-consuming and taxing to get your team or organization on the same page. In short, it’s something that most people avoid. It’s much simpler to just get ‘er done….regardless if what you’re doing gets you closer to your goals. We’re busy, people! 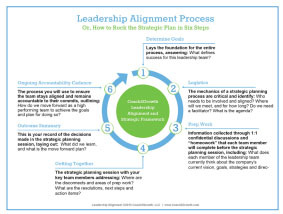 Yet, when we dodge the time and energy needed to flesh out sound strategies for how to accomplish our goals and, moreover, determine all that it takes to get our teams aligned, it can be akin to nailing JELL-O to a tree…unlikely to stick and pretty messy. JELL-O, itself, is a pretty simple product: gelatin, sugar and artificial stuff that we’d rather not know about. It’s also simple to prepare: add water. If, however, you don’t put the mixture into some kind of dish or kitschy mold and refrigerate, it remains an amorphous liquid. And, while the JELL-O “drink” may be tasty, it’s not nearly as much fun to eat, and more or less, beside the point. Point being: like strategy, JELL-O offers the most value and integrity when chilled enough to sit properly upright on the serving plate (ba-dum-bump). 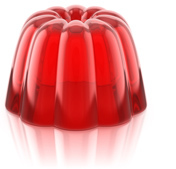 So, if you fall into the category of “strategy avoider”, and especially if you are about to enter into the fall planning season, I invite you to follow our tried and true six-step model (think JELL-O mold) for developing your strategies and ensuring alignment across your team. Even if you love strategy work, there may be a nugget or two for improving your process here too. See the next section below or click here to download our new Coach2Growth eBook. Jacqueline has been a natural and compassionate champion, mentor and coach to women throughout her career. She participated on the board of Girls Inc. of Lynn for six years and is a member of The Boston Club (one of the largest communities of women executives and professional leaders in the Northeast). 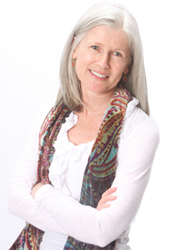 Jacqueline has an MBA and is a Certified Professional Coach (CPC), having completed her training in the premier accredited International Coaching Federation (ICF) certification program through the Institute for Professional Excellence in Coaching. She is also certified as an Energy Leadership Index-Master Practitioner (ELI-MP). © Copyright 2015 Coach2Growth. All rights reserved.